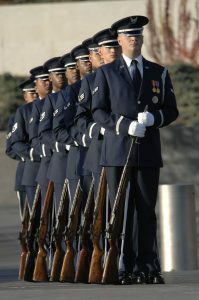 The members of the United States Air Force Honor Guard are the ceremonial experts of the Air Force. They perform at some of the most high visibility and honorable venues, and are characterized by always standing sharp, crisp, and motionless. Their demeanor and professionalism fill their onlookers with a huge dose of pride and patriotism. 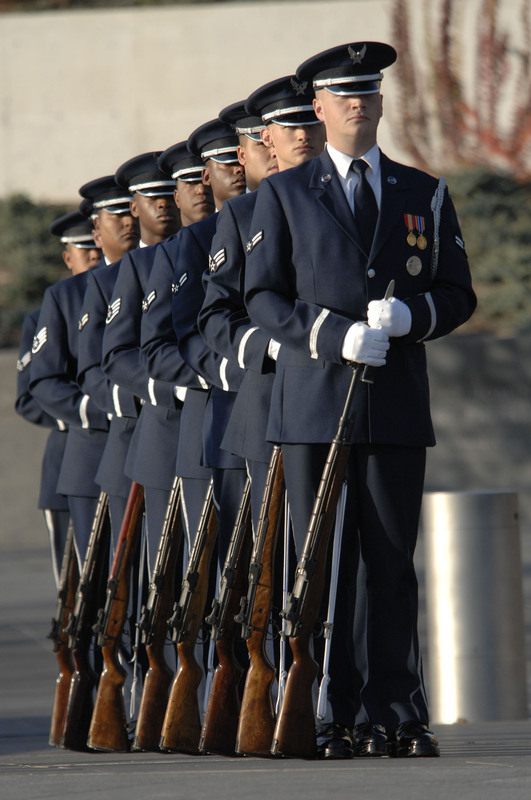 A part of the Honor Guard Creed reads as follows: “Never will I allow my performance to be dictated by the type of ceremony, severity of the temperature, or size of the crowd.” Indeed, they live up to that statement. I have seen them perform the same on the fourth event of a hot August day to a tiny crowd as I have seen them perform in front of world leaders on the biggest stages. They are equally professional regardless of the circumstances, obstacles, and visibility. There is great leadership and spiritual truth in that same statement. We are to serve faithfully regardless of the circumstances, obstacles, and visibility of our tasks. It doesn’t matter if our role is to be behind the pulpit or a vacuum cleaner, in front of a big crowd or a tiny congregation, or leading a great choir or a small team. We are to heartily please God through our life of service. We are not menpleasers, but the servants of Christ. We are to serve the same regardless of whether we are in season or out of season. PLEASE PRAY FOR PASSIONATE CHRISTIAN SERVICE AT ALL TIMES AND IN ALL CONTEXTS. Never should we allow our performance to be dictated by the type of ceremony, severity of the temperature, or size of the crowd.